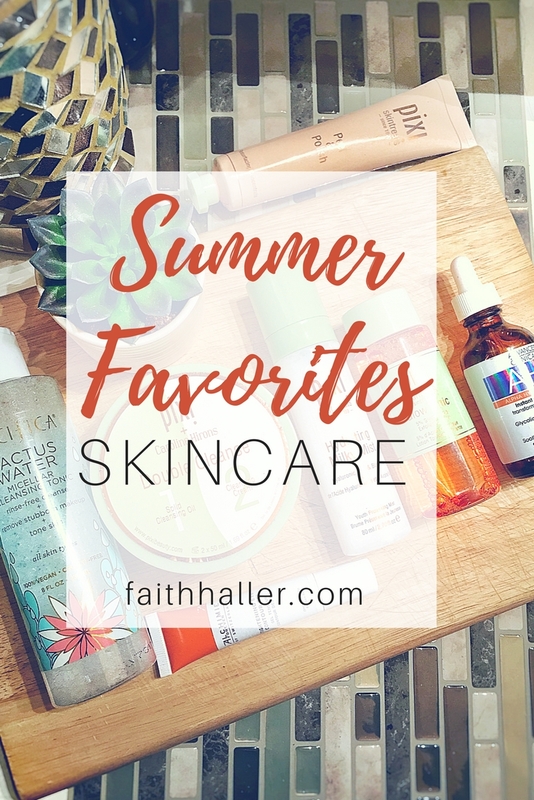 faithhaller.com: Summer Favorite Skincare Routine | My Cult Faves, Must Haves and Favorites! Summer Favorite Skincare Routine | My Cult Faves, Must Haves and Favorites! Summer is the time that I like to experiment the most with skincare products however there are products that will always be a staple in my routine. I want to share some of my Summer 17 favs. This year I decided to sport my bare skin. Not because I just don't like makeup anymore or protesting about wearing your skin. It's none of that because I will always love makeup but I love my skin more than anything and it's my duty to take care of what God gave to me. The most I wear is brow products, mascara, maybe eyeliner and lip product. But most times my skin has been bare especially because I've been sick and been working a lot so that takes a lot out of you. I knew that I needed to care more for my skin being that it was being revealed a lot more and not only that but because my energy has been low and I been sick a lot more I try to over compensate for my skin and revitalize it so my illness or tiredness doesn't show through my skin. So today I am sharing my Summer 17 Favorites with you all that have given me some great results. Got my skin glowing and have minimized texture, blemishes and more! 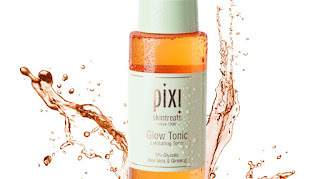 This is a micellar cleansing water which is currently on trend this season because micellar water not only cleanses the skin but it removes toxins and build up. It attracts dirt like a magnet without drying the skin out. It's gentle and is great as a toner to put moisture back into the skin. It has so many great nutrients and minerals for the skin which makes this a great alternative and replacement for your typical toner because it's multi-purpose. When Pixi Beauty collaborated with Caroline Hirons it was the best thing for their brand because she developed this Double cleanser. 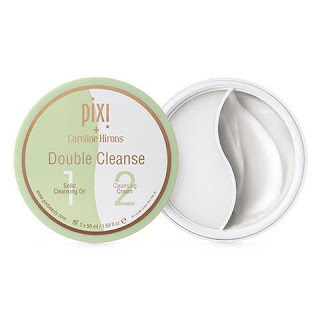 This is a unique 2-in-1 cleanser where one side contains a solid cleansing oil and the other side is a luxe gentle cleansing cream. I like to use this at night for deep cleansing routine. It doesn't strip the skin because it's hydrating and it removes all dirt and grime and makeup from skin. 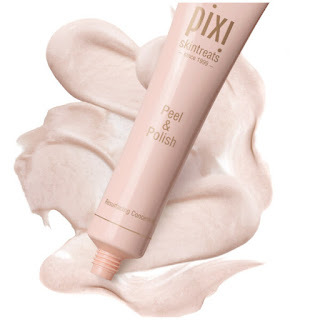 If you been following me for some time then you know how I feel about Pixi's Polish & Peel. This peel removes all dead layers of the skin, it polishes and smooth out the skin for the new skin to come in. Look forward to fresh, brighter, less dull and smoother skin with this stuff. It's my holy grail and exfoliation is the way to better skin. This mist is my holy grail for dry skin! And let me tell you, it instantly hydrates the skin. As I mentioned in my stash or pass which you can CHECK OUT HERE I like using this as a boost to hydrate my skin. The cure for dry skin! The key to bright glowy skin is through this guy here. I've gone through 4 bottles of these sense I first tried it out. It was originally sent to me and since then I've been buying it. This toner exfoliates the skin, it brightens, shrinks pores, it calms the skin because it does contain aloe vera and minimize breakouts. This is the reason why it's a cult fav. I like to use this for my brows and to exfoliate my lips also. This oil-free miracle in a tube. I literally carry it with me at all times because I don't wear makeup as much anymore. So sometimes I need that pick me up. I always say some of your biggest and greatest skincare investments will be in your eye creams and serums, because they are rich and highly concentrated in ingredients and nutrients for the skin. Therefore giving you the best results. You will see results sometimes instantly and this eye gel is that one. Because it is a gel formula it instantly penetrates into the skin to reduce puffiness. It minimizes the appearance of fatigue and it protects the eyes from environmental stress. It is packed with alchemilla, which is a powerful astringent that minimized under-eye bags and also brightens the skin, while jojoba increases the elasticity around the eyes therefor minimizing fine lines and wrinkles. It's no secret that this product has great ingredients. A great tip is to put this on ice. The cooling effect is not only refreshing but it intensifies the results from this eye gel. 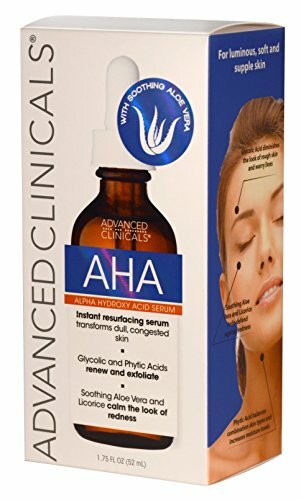 AHA also known as Alpha Hydroxy Acid is an non-abrasive exfoliant that resurfaces the skin therefor reducing the signs of aging such as... dull skin, large pores, fine lines and wrinkles. It promotes skin renewal. As I mentioned it exfoliates the skin giving you glowy & radiant skin. This product is paraben-free, & cruelty free. I use this day & night. These are currently some of my summer favs that will get your skin on point! What are you currently loving right now? Share in the comment. Have you tried any of these products or interested in trying them?